The nearby lake is full of ducks, the species coming and going as the seasons tumble on, the behavior of the birds changing along with the always-shifting tide of our lagoon. Lately, the ducks that congregate by the water’s edge have been foraging, plunging their heads into the water, their upturned tails frantically waving about as they search for whatever it is they want down below. Their little backsides stick straight up and their bodies are perpendicular, black and white feathers waving furiously like an overeager kindergartner with her hand in the air. They look like pure chaos. I am not so different from one of these ducks, my head down, goals in mind — but I feel as though even I am on the outside, my life a flutter of indecipherable motion. No matter how much as I schedule or arrange, there is a limit to what I can control. I can’t keep out hardship or prevent uncertainty; even with the clearest blueprint, I can’t plan or predict how things will go. But I think again of those ducks, looking foolish but determined. Their tactics must be effective, or they wouldn’t still have their butts up in the air, breath held in tightly, energy devoted to this task. And isn’t that how it works? On dark, gray mornings, we don’t have to wait long before the sky is shot through with sunshine, before the world is new and everything reborn, the sad, drooping clouds a distant memory. Eating a croissant at a bakery the other day, I pulled off a small piece, and shards of crisp, buttery dough flaked off, scattering across my small ceramic plate and toward the strangers next to me. Alone with a book, I didn’t mind the mess. I had no one to impress or distract; the weathered table stood indifferent to the crumbs. Before I left the cafe, I brushed the flakes of pastry on my plate into a small pile and tucked them into my mouth, savoring the last bite of buttery flavor, the sharp edges that came with it. I will freely admit that I am very fond of order and structure and plans; I wish sincerely that things didn’t have to be a mess, ever. But even so, I recognize that there is beauty in spite of the chaos. And even where there is no beauty, I don’t want to miss the life that swirls around me. And thankfully, because some things are predictable, I go from even the worst of days into my kitchen. I measure flour and butter and sugar and salt, to the hundredth of a gram if I wish. I zest an orange, its bright, cheerful scent filling the apartment as though nothing is wrong in the world. I eat one dried apricot, soft and sweet, its flavor quiet. Kneading ingredients together, they feel familiar in my hands, predictable and trustworthy and not so mysterious. In the heat of the oven, scones bake and brown, sprinkled sugar crisping atop. The tea kettle whistles. I am grateful. In a small bowl, whisk together the cream and egg; set aside. In a large bowl, work the cane sugar, ginger and orange zest together with a spatula or your fingertips. Add the flour, oats, apricots, baking powder and salt. Whisk just to blend. Cut in the butter with a pastry blender or your fingertips, until the butter is the size of small peas. Stir in the cream mixture. Turn the dough out onto a lightly floured surface (it will be quite sticky) and shape into a disk about 7 inches across. Cut the disk into 8 wedges. Brush the scones with a bit of extra cream and sprinkle with the turbinado sugar. Transfer to the baking sheet, spacing the scones just slightly apart from one another. Bake for 15 minutes, then lower the heat to 350 degrees. 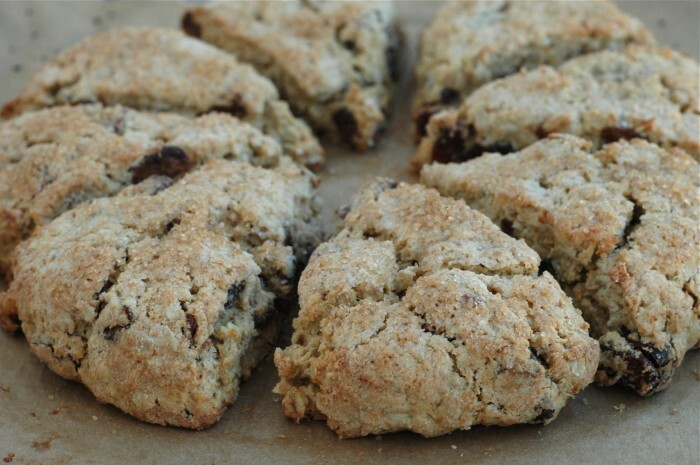 Continue baking until the scones are set and golden brown, about 15 minutes longer. Cool on a rack until warm or room temperature. Enjoy with a bit of jam, perhaps alongside coffee or tea. A beautiful post today! I’m very partial to scones also. Adding these on my list to try soon. There is a great deal of centering in the baking, cooking and pulling together of ingredients, an alchemy of this and that becoming one homogenous dish; I find it pulls my brain from it’s constant carousel of thoughts to a more quiet place that draws the tightness from my jaw. 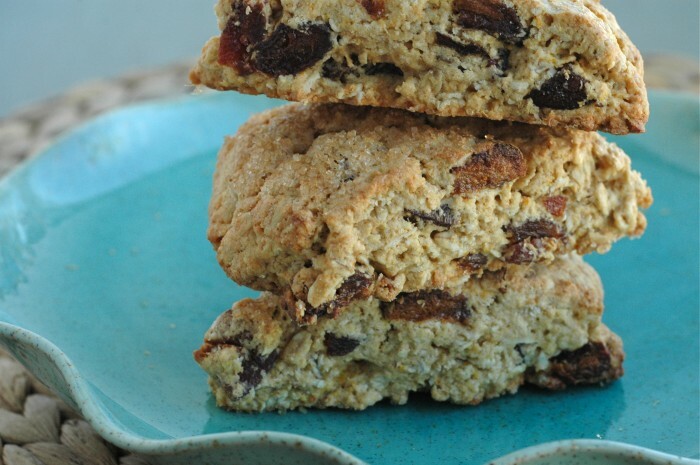 Of course, a beautiful scone can soothe like little else, too. there is always at least one line in your posts that I want to frame up on my wall. I too (hi kindred spirit) like structure, but want to feel everything that happens…even the non controlled parts. I know in retrospect even the chaos came to make sense, but I never remember that when new unrest comes about. Lovely writing, my friend. Always. 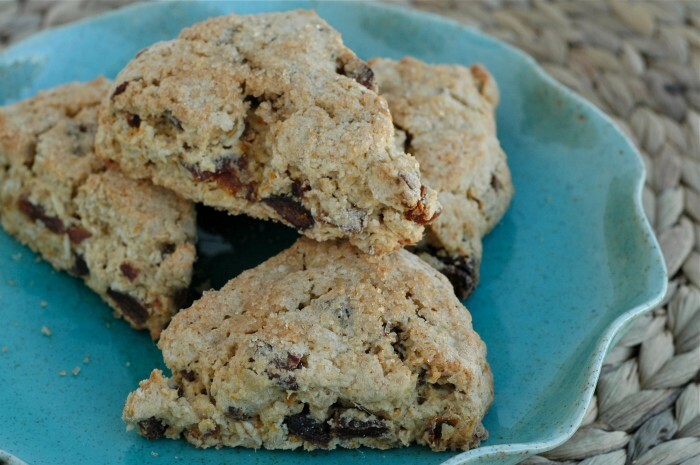 oh and the scones, quite lovely as well. Lovely post! 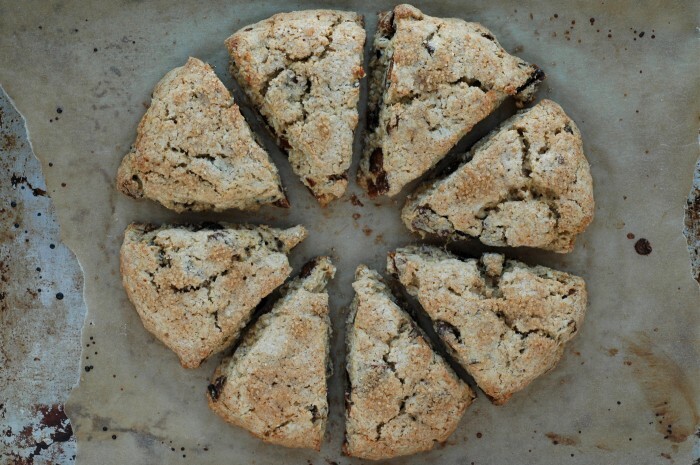 How good is the ‘pizza’ type way of making scones…have only done it once or twice but it’s so reliable and looks so good and yours look divine. That top photograph is really beautiful too. Nice! Hi Zoe! Thanks for your kind words. 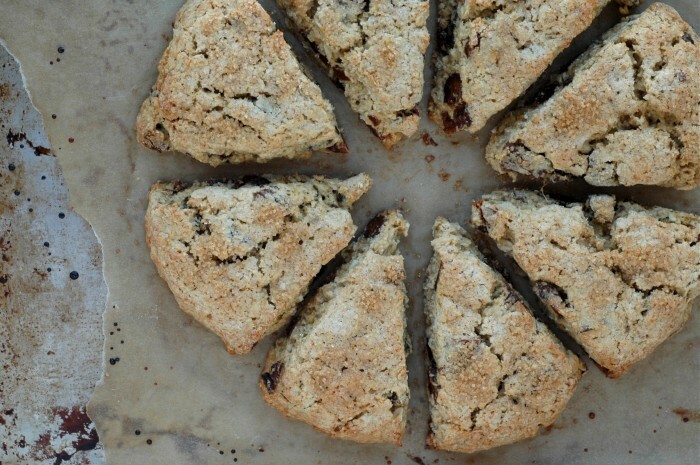 I really enjoy baking scones this way, and it has always worked well for me. When the (unbaked) dough is sliced but the scones placed somewhat close together on the pan, they bump into one another while baking, and I love breaking them apart. If you try this, let me know how it works for you!